Atlantis Resort on Paradise Island in the Bahamas is an expensive vacation destination, from resort fees and mandatory gratuities to relatively high departure tax and airport fees. Still, I’m a sucker for water parks, so I jumped on the chance to visit. Plus, since the resort is part of Marriott’s Autograph Collection, it’s bookable on points — either from your Marriott Rewards stash or transferred over from Starwood Preferred Guest, now that the merger’s official. Below, I’ll give you an overview of the pros and cons of Atlantis, in addition to showing you how you can plan a trip using travel rewards. Atlantis is a collection of several hotels built around the larger beach resort on Paradise Island, with the star attraction being the 141-acre water park called Aquaventure. 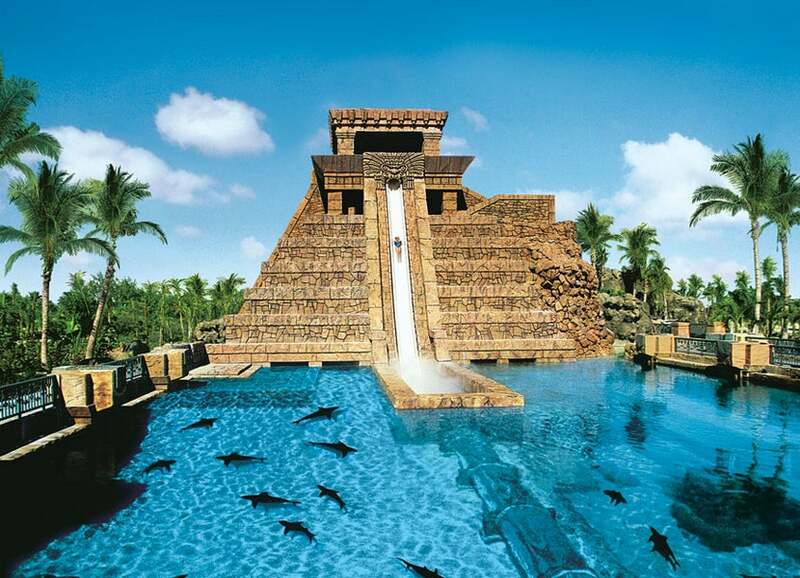 If you’ve seen the ubiquitous commercials for the resort, you’ve seen Aquaventure’s Mayan Temple slides, including the Leap of Faith, which is a six-story near-vertical drop through an enclosed slide in a shark-filled lagoon. The famous six-story drop through the shark tank at Atlantis. Image courtesy of Atlantis. But Atlantis is more than just Aquaventure. There’s a marina to rent boats, white sand beaches, a spa, a casino, dance clubs, a golf course, a pottery studio and more. What’s nice about Atlantis is that there are so many activities within easy reach. It’s so easy to spend a few hours on the beach and walk over to a pool that’s just a few feet away. And with 11 separate pools onsite, there’s always one to fit what you’re looking for, including an adults-only pool and three kids’ pools. One of the kids’ pools. Image courtesy of Atlantis. I can report that there is a bar nearby and that parents can — and do — keep an eye on their kids while sitting in front the kids’ pools with a drink in hand. There are also an impressive array of activities aside from the pool and beach. 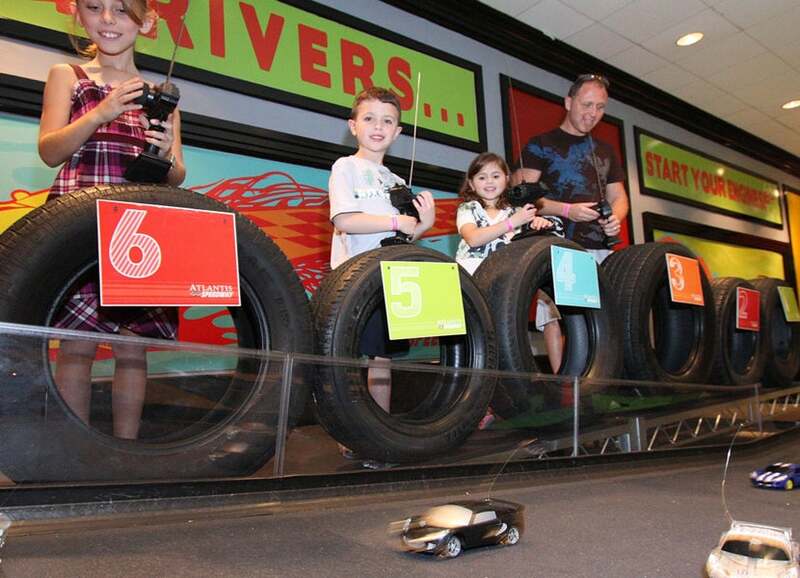 Kids (or adults) can construct and race their own remote-control cars at the Atlantis Speedway. Build and race your own remote controlled cars. Image courtesy of Atlantis. There’s also a rotating schedule of complimentary activities. Check the daily newsletter, the Daily Atlantean, for a full list each day. There are complimentary activities every day. There’s also a pretty wide range of activities after the sun goes down and the pools close. There are a couple of dozen restaurant options, from casual choices to fine dining, courtesy of celebrity chefs. They’re generally overpriced and not spectacular, and you have to make a reservation several weeks in advance to avoid a long wait. Even the restaurants just outside of the resort tend to be the typical tourist chains (think Margaritaville) — take a cab off Paradise Island back to Nassau for more reasonable and local fare. 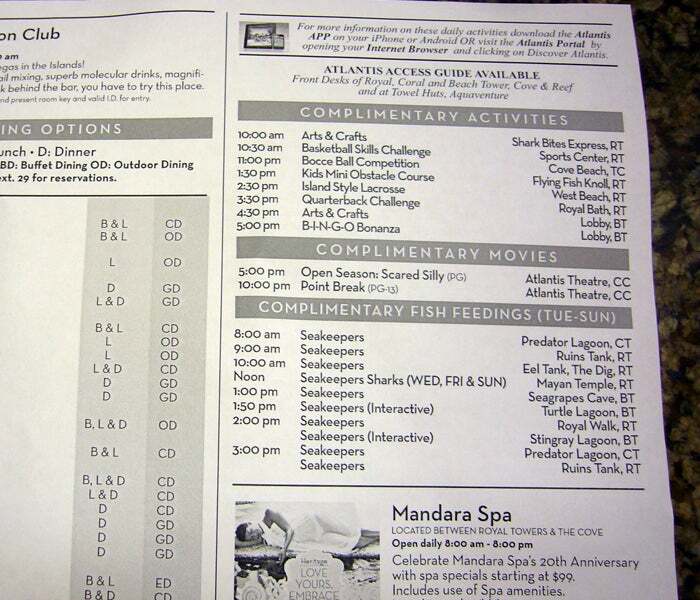 Still, what the Atlantis dining options lack in authenticity, they make up for in convenience, which is what you’re paying for. I remind myself of that when I think about the $60+ we spent for the four of us to split a pizza with a bottle of water for the kids and a beer each for the two adults. For the evenings, there are dance clubs, bars and a comedy club for the adults, and a separate club for teenagers. 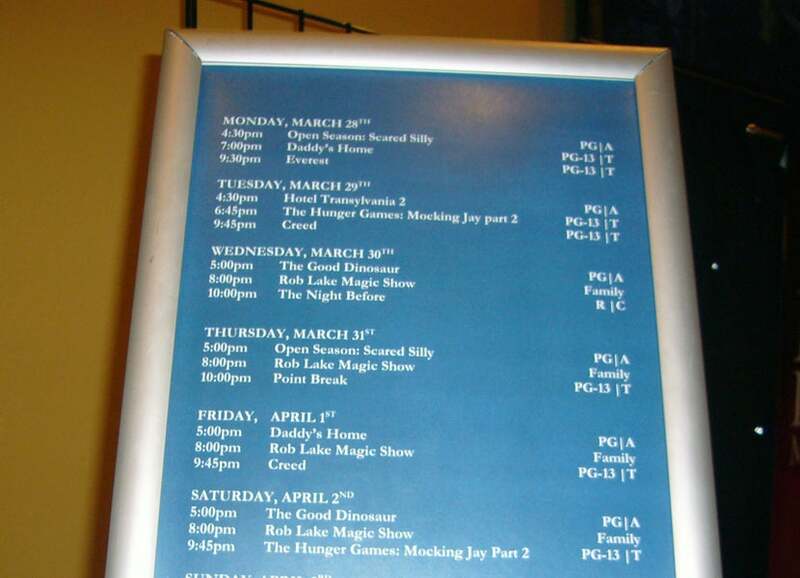 Atlantis Theater shows complimentary movies in the evenings (usually a family-friendly movie at the early showings and more adult-themed movies later at night). A sample of the movies earlier this year. You’ve probably heard some of the criticisms of Atlantis. The facilities are old and tired. It’s expensive. It’s inauthentic. These statements are true, but I think you go to Atlantis knowing what to expect. The above issues aside, the biggest problem for me is just how crowded it is and the “me first” mentality of some of the guests, especially at the water park. You can have problems finding chairs later in the day and, most notably, it can be almost impossible to get an inner tube. Several of the water slides require an inner tube, along with the entire river rapid ride. And the river rapids are too strong for young kids to navigate on their own, so they absolutely must ride on a double tube with a parent. Nearly every time we went, we waited between 20-30 minutes just standing in the river waiting for a free tube. It didn’t take long to realize the problem. It was fairly common for people to grab a few tubes — especially the doubles – at the start of the day and leave them at their chairs, even when they weren’t using them. 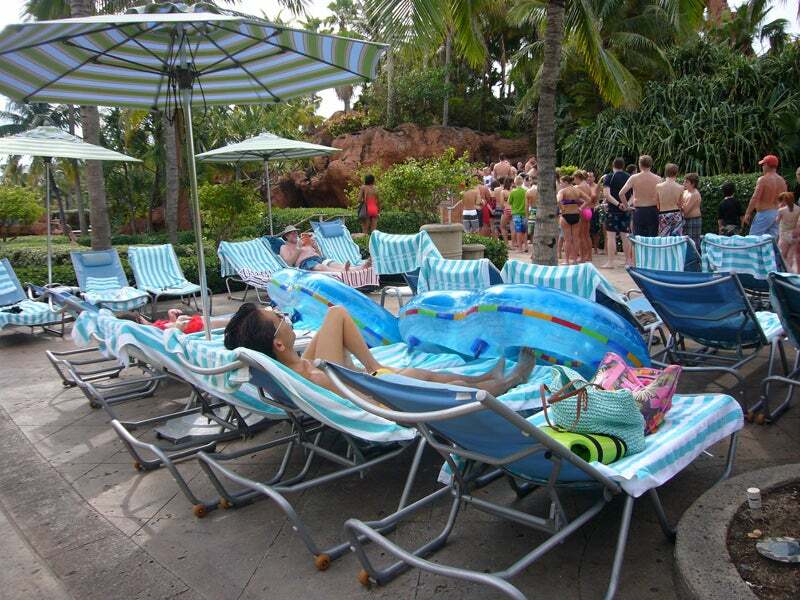 At no point did any Atlantis employee discourage the practice, and we saw it around every pool we looked. One way to make sure you have tubes for the day. 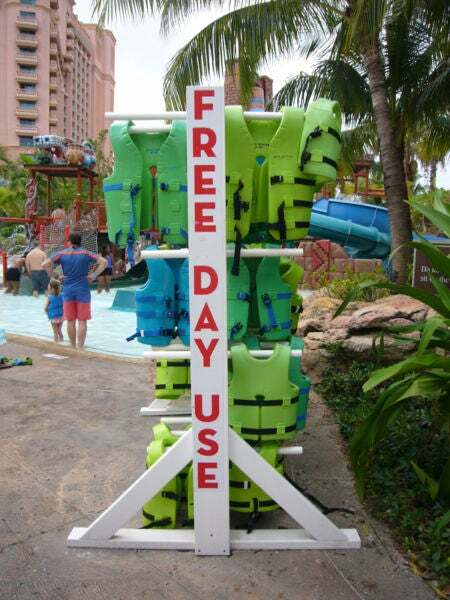 Atlantis does provide life vests for day use, but you have to get there very early to find ones that fit small kids — they get taken early and you’re only left with adult sizes throughout most of the day. There are life vests for day use, but get there early if you need a kids’ size. All the food, even at the quick-service dining locations, is overpriced. Still, that doesn’t bother me too much, probably because I’ve spent a lot of time (and, I guess, money) at popular destinations where you just expect to pay much more for food than makes any reasonable sense. But I could never quite wrap my head around a bottle of water that costs $8.50. $8.50 for a large bottle of water, plus 15% gratuity and 7.5% VAT. Luckily, I had packed a few small bottles in our checked bags (triple-wrapped, so they wouldn’t drench anyone’s bags if they opened). We also walked to a convenience store just off the property (in a shopping center close to the entrance of the adjacent Comfort Suites) to buy waters for less than half the price. That kept our $8.50 bottles of water to a minimum. You can also ask your driver from the airport to make a grocery stop for more reasonably priced water, but there will be an additional charge for that. Finally, there were small problems in many places. We took our kids to the video arcade and many of the machines were out of service, leaving too many people to try to play the few games still working. Some of the fountains weren’t working. There was some paint chipping, and some things looked a little dirty. And there didn’t seem to be any sense of urgency in fixing the issues we saw. 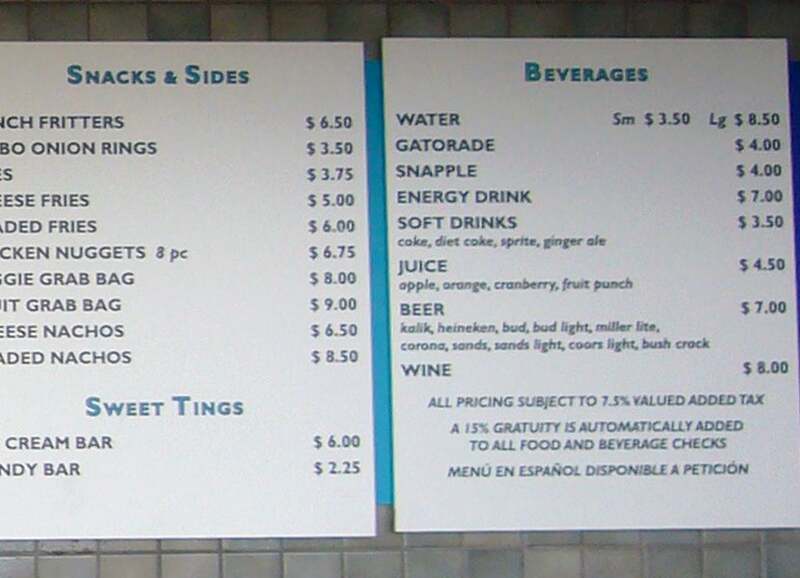 This warning shouldn’t be a problem for this crowd, but make sure you bring credit cards, as most of the quick service food and drink options around the pool are cashless. Still, bring cash, too. 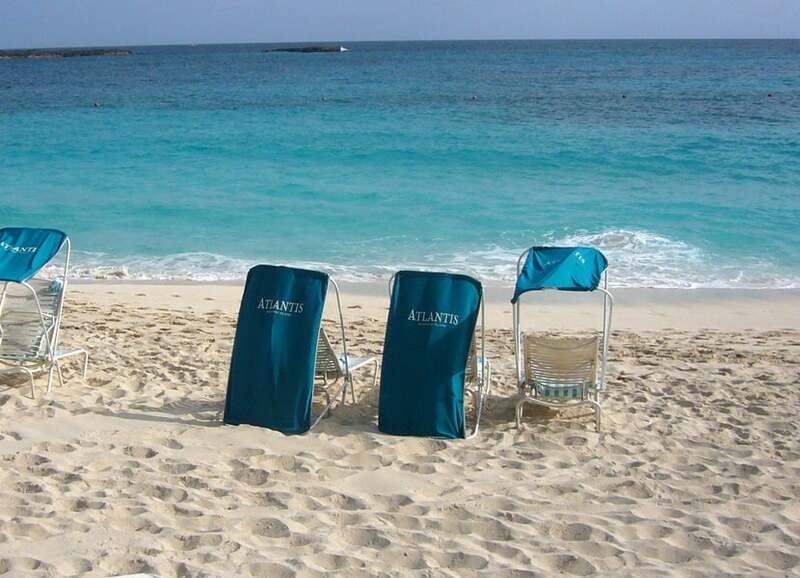 There’s no charge for beach chairs, but beach attendants who set the chairs up for you work for tips (and get there early to ensure you get a chair that’s covered). The covered chairs are great when the sun is shining on the beach. All major domestic legacy airlines fly in and out of Nassau. Southwest flies to Nassau from Baltimore/Washington Airport (BWI) and Fort Lauderdale (FLL) in Florida. JetBlue also has connecting flights through FLL. Expect to redeem 15,000 miles each way in economy on AA (12,500 miles off peak) or 25,000 miles in business, or 17,500 for coach and 30,000 miles for business on Delta and United. Keep in mind, though, that even if you’re using points for the flights, the departure tax and airport facility charges to leave the Bahamas add up quickly. The fees for my flight leaving the Bahamas. Expect to pay about $100 per person in addition to the cash or points you use to book the departure flight. This is another situation where it’s handy to have a card that reimburses travel charges, such as the Barclaycard Arrival Plus World Elite Mastercard, to cover incidentals like these. Keep in mind that the Atlantis resorts are now part of Marriott’s Autograph collection, meaning you can earn points on paid stays and redeem points for free nights at four of the resort hotels. The Atlantis towers are at the higher end of the Marriott hotel categories. Marriott offers a fifth night free on award stays, so your five-night stay at Atlantis would range from 140,000 to 180,000 points. Taxes and surcharges on top of the cash price. 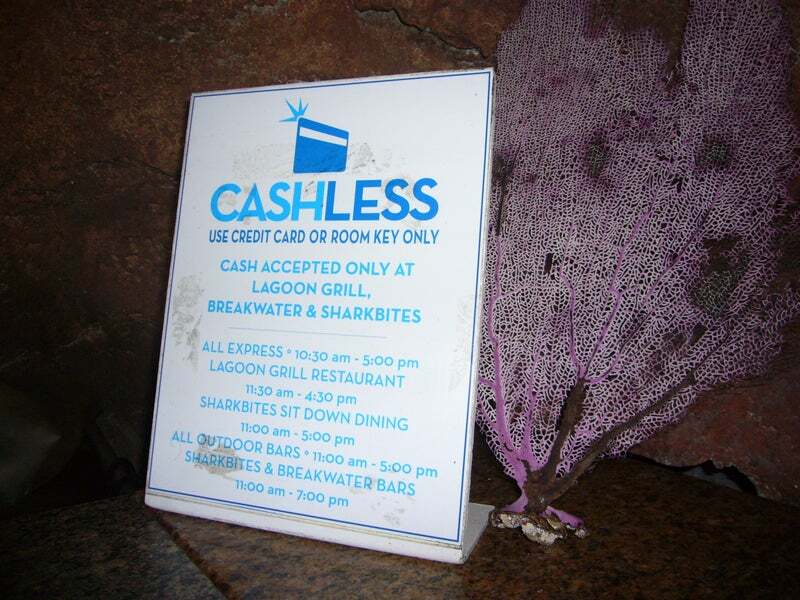 And in addition to the cash or points prices, there’s a daily resort fee of $49.95, with a $3.75 VAT charge on the resort fee for a total of $53.70 per night. Hey look – “free” water! There are also mandatory gratuity fees of up to $12 per person per day added to the price of your stay. Finally, keep in mind that any guest aged 12 or older is considered an adult. The Marriott Rewards Premier Credit Card is a great way to boost your Marriott account by 75,000 points once you spend $3,000 in the first three months. You could also apply for the Starwood Preferred Guest Credit Card from American Express for 25,000 points, which you can convert to 75,000 Marriott points thanks to the recent merger. Just adjacent to Atlantis proper is the Comfort Suites Paradise Island, which gives guests free access to all the perks of Atlantis. The hotel tends to have lower rates than Atlantis and the room rate includes breakfast, which is another money saver. Rates vary by season but seem to start at about $275. Award stays are just 25,000 Choice points per night. You can get Choice points by transferring American Express Membership Rewards (earned with cards like the Business Platinum® Card from American Express ) to your Choice account, but you can get better value for your Membership Rewards through other redemptions. 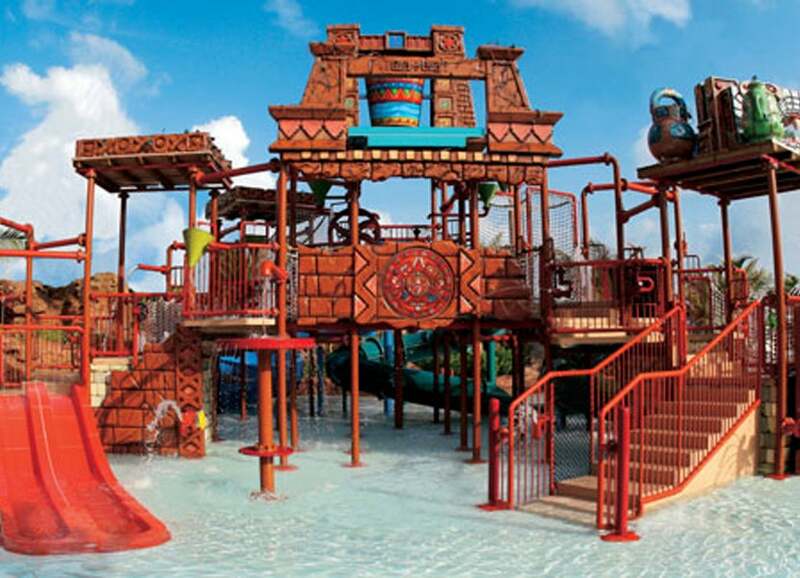 Another option is to use the cash and points method to “buy” the points required for the Comfort Suites for about $188, which is a pretty great deal for a family of four to have breakfast and Atlantis access per day. 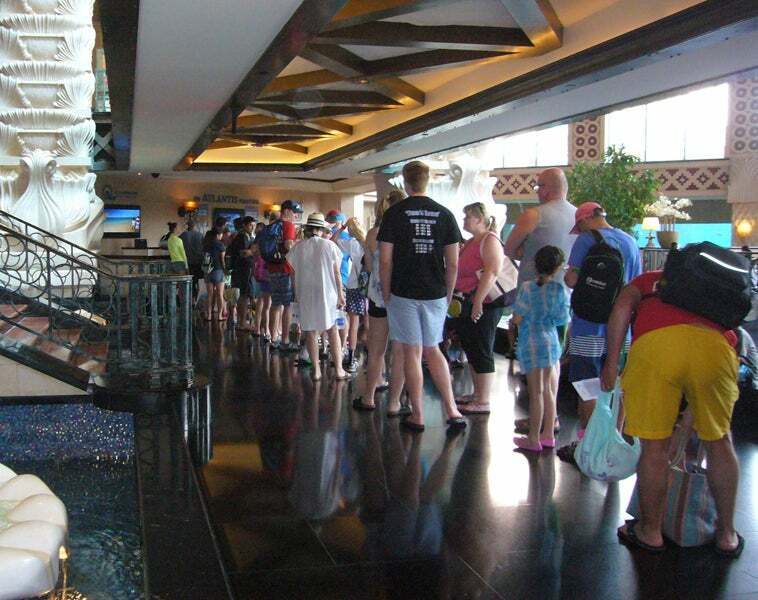 One downside of the Comfort Suites is that you have to walk through Atlantis to get your wrist band, and there can be quite a line if you don’t get there early. Get there early or wait in a long line to get a wristband before you can roam around Atlantis. Another downside is that you can only book Choice reward nights at properties outside of the US and Canada 60 days in advance (which is better than 30 days you have domestically), though Choice Platinum members have 75 days and Choice Diamond members can book 100 days in advance. So that small window obviously makes it harder to plan. If you need to make firms plans any further in advance than that, you’ll need to book a cash reservation rather than use points. Keep in mind, too, that you’ll be competing for hotel space with cruise ship guests, who sometimes book the Comfort Suites to get Atlantis access for a day (without actually using the room), since it’s often cheaper to book this hotel than to pay for one-day water park passes for a whole family ($129 for adults and $99 for kids aged 4-12). You can also get a free four-night stay at Atlantis by being a Diamond member with the Total Rewards Casino program (must book by January 31, 2017). One shortcut to getting Diamond status is to get FoundersCard (it’s a membership card, not a credit card). Sign up with TPG’s link and the fee is only $395 (instead of $795). 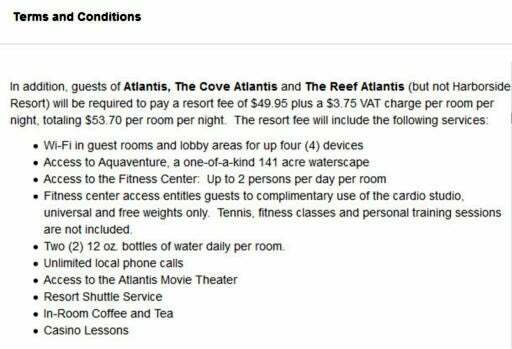 Your free Atlantis stay even covers the resort fees mentioned above. But note that there may be some caveats to the free stay. Commenters on this post about the free stay noted that there’s a requirement to play at the casino for six hours, and there may be minimum bets (meaning that playing the penny slots may not do it). And while the resort fees are waived, the taxes may not be. If you take advantage of this offer, you’ll need to read the fine print and follow it carefully. Atlantis isn’t exactly an exotic vacation destination. The Bahamas are just 50 miles from the Florida coast, and being there definitely feels like you could be in an extension of the US. The facilities are a bit rundown, the place is crowded and they’ll find a way to charge additional fees at any opportunity. Still, if you like water slides, drinks by the pool and having an array of activities at your disposal, it’s an incredibly easy destination to get to and to navigate. And there are ways to make the whole trip much more affordable using travel rewards. Have you used points and miles to visit Atlantis?